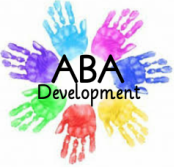 ABA Development offers educational and behavioral services to children between the ages of 3 and 14. Our goal is to provide behavioral treatment utilizing the principles of Applied Behavior Analysis (ABA) in order to help individuals on the autism spectrum, as well as individuals with learning difficulties and challenging behaviors. Our ABA-based therapy programs focus on using one-on-one interactions to build communication and social skills. ​​Each child in our program participates in an individualized, comprehensive learning program designed by our staff, field related professionals, and the parent of the child receiving services. This approach allows for one-on-one and small group settings, a structured environment, on-going assessments, parent support, year-round services, and an atmosphere of acceptance and motivation. Our services include social skills groups, individual instruction, one-on-one academic tutoring and day camp programs. Please submit questions in form.